The strange creatures known as Gloatmeals are trans-dimensional entities capable of freely moving through multiple universes as a fish moves through water. Part of the hazards of entering another dimension is one's physical attributes must conform to the physical laws of said dimension. 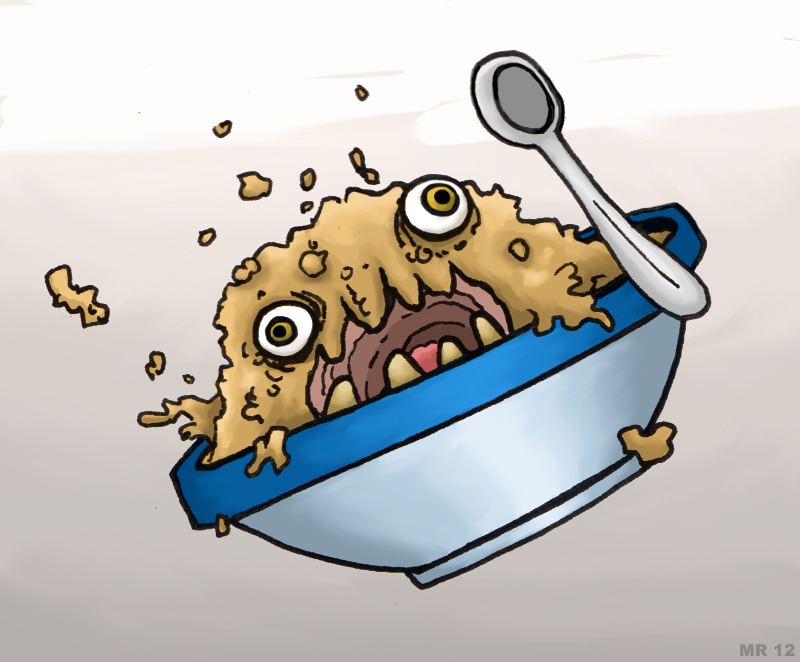 Thus in our dimension, these otherwise glorious beings appear as sentient blobs of oatmeal like substance. This does nothing to curb their astronomically huge egos.